← Fresh Canes Coming In! Really tired today, but I went out to practice anyways. 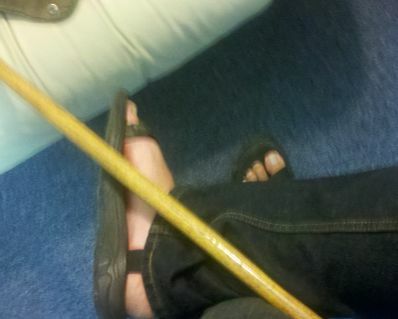 I played with a couple of ideas for cane play with legs and feet. It was fun. Now I need to start practicing taking pictures of myself while I’m in awkward poses. The pictures were as fun as the cane work.